Lexington Friends Preschool offers a child-centered curriculum guided by a Montessori certified teacher. Children are encouraged to think critically, work collaboratively and explore boldly with a natural thirst for knowledge. At Lexington Friends Preschool we know that big ideas come from enormous messy art projects. That’s why we provide children with high quality materials and give them the freedom to explore, create, and learn as artists. Located in downtown Lexington LFP is devoted to service and community building. Families are welcomed and encouraged to share their traditions and values with the school community. At Lexington Friends Preschool we see nature and outdoor play as an extension of our inside work. In rain, snow, and shine children are encouraged to spend more time in nature. Children have access to an outdoor classroom used for open exploration as well as structured lessons in science, math, art, and language. Building secure relationships and self- confidence is one of the greatest tasks of the child. At LFP we strive to support children in building strong character and healthy friendships while focusing on the paramount importance of creating peace. We strive to create a nurturing and enriching environment where all children are respected as members of the community. Lexington Friends Preschool is housed in the Lexington Meeting House near downtown Lexington, Kentucky. LFP offers a secular curriculum and is an independently incorporated non-profit governed by its own board. 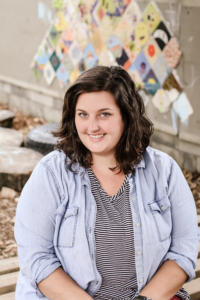 LFP programming is guided by Montessori certified teachers who have a passion for Early Childhood Education and a deep connection to community in downtown Lexington. Through a careful balance of academics and play, children naturally develop a life-long love of learning. Hello! 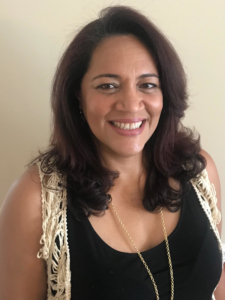 My name is Chapi Johnson and I am director and Montessori teacher at LFP. I started working with children in various ways at a young age and began a full time career at a non-profit preschool in 2007. I have a degree in English and Sociology and am certified in Montessori Early Childhood education. The focus of my career has been to create an inclusive classroom to meet the needs of all children in my care. When I am not teaching, I enjoy spending time with my husband and (preschool age) twin daughters. Together we enjoy dancing, making art, cooking fresh seasonal foods, and hiking in the red river gorge. As an educator and mother I believe in the importance of connection and giving children a voice. I am honored to be a part of the Lexington Friends Preschool community. 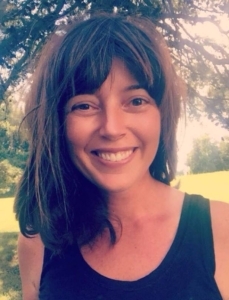 Emily Webb began her teaching career in 2005 as an AmeriCorps VISTA volunteer with Great Basin Outdoor School in Reno, Nevada. 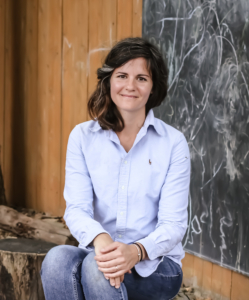 Since then, she has served children as a Montessori teaching assistant, preschool teacher, and science, yoga, and cooking class instructor. 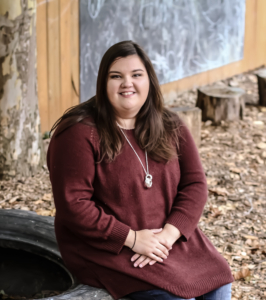 Emily received her American Montessori Society credential from the Greater Cincinnati Center for Montessori Education in 2010 and has worked as a lead teacher in a Montessori primary classroom for three years. 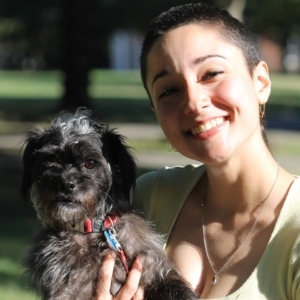 When not teaching, she enjoys hiking, gardening, bird watching, volunteering, and practicing yoga. 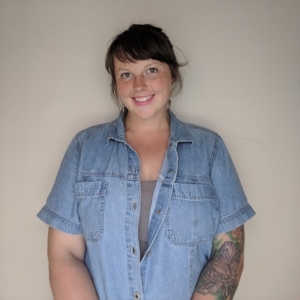 Emily loves incorporating messy art projects and big science experiments in the classroom, and believes in the importance of connecting children to their community in meaningful ways. Emily is thrilled to be a part of the new Lexington Friends Preschool community. Hello, I'm Megan Adams. 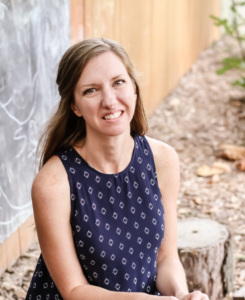 After spending the last year and a half offering Montessori in the home, I am thrilled to be returning to the classroom as Lead Toddler Teacher at Lexington Friends Preschool. I have been working with children since 2010, both as a professional nanny and a Montessori educator. I recently completed my AMS Infant and Toddler Certification at the Greater Cincinnati Center for Montessori Education. I cannot wait to put this knowledge into action as I assist your wonderful children on their journey to independence! Growing up in an area of Central Appalachia with a rich heritage and beautiful landscapes, I share a reverence for nature and a deep appreciation for diverse cultures with the LFP community. I live here in Lexington with my partner, Cameron, and two kitties. When I'm not studying child development, I enjoy creating various types of visual art, reading, and being with friends and family in nature. Hi there! My name is Sarah Jo and I am a recent graduate of Eastern Kentucky University with a Degree in Theater and English. Before completing my degree I spent a year teaching at a nonprofit after school theatre program in Austin Texas as well as facilitating at 'The Thinkery' a local children's museum in Austin. 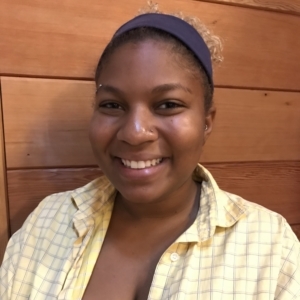 After graduation I started work at Lexington Children's Theatre and so enjoyed working with the young people decided to pursue a career in early childhood education. I am thrilled to be back in Kentucky and starting my professional career with Lexington Friends Preschool and its amazing staff. 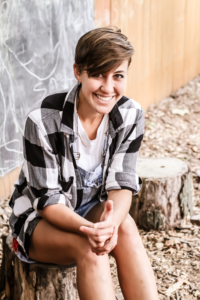 Teaching and theatre are my passions and I hope to use my creative energy to learn and explore with the young people here at Lexington Friends Preschool. Originally from Mt. Sterling, Kentucky, I grew up around the Lexington area. I attended Eastern Kentucky University where I earned a B.A in Theatre with a Studio Art minor and special study in English. During high school I spent time as a mentor in middle and high school musical programs as well as working with local children's programs in the summer such as Summer Playhouse/Summer Stock and the Montgomery County Migrant Program. Since then I have always had an interest in sharing arts, communication, creativity, and play with children and I believe they are important aspects to maintain in early childhood. When I am not in the classroom I am a local, freelance Stage Manager and Theatre Artist and enjoy making and seeing theatre, nature, reading, and creating art with different mediums. I spent the 2017 spring semester substituting for LFP and am very excited to join in part time during the afternoon this year! My name in Maryuri Welsing, I was born in Santa Clara Cuba and moved to Florida when I was 24 years old. I have a bachelors degree in physical education with a basketball training certification. I am Montessori trained and have experience in teaching Spanish amongst all lower elementary grades. I am beyond excited to be assistant teaching in the Lavender room this year! This past school year while substitute teaching, I loved getting to know all the wonderful families in the LFP community that make this such a special place. This year, I am looking forward to all the cool and new things we are going to create and learn from each other. When I am not teaching or babysitting, I am making art with others or hanging out with my dog, Presley. In addition to teaching at LFP this year, I will be teaching at ARTPlay Children's studio. I strongly believe in community engaged art, and hope that I can share what I know and enjoy about making art with all the friends at our school. I graduated with a BS in Agriculture and Natural Resources from Berea College in 2016, and traveled for about a year before settling back in to KY. I'm a Gardener, Baker, and crafter, and I spend a lot of time going on adventures with my pup Roo. I've been subbing for LFP since January, and I'm excited to be an assistant in the Goldenrod classroom this school year!